This year 2,776 walkers in Sacramento came out to support the Walk to End Alzheimer’s. The morning air was cool and crisp—a refreshing change from the warm Sacramento summer heat. It was a perfect fall day—the crowd was filled with people wearing purple who were holding forget-me-not flowers that each tell a story. The feeling that day was hope. Team Eskaton opened the morning with 30 energetic dancers leading the crowd in the annual chicken dance. 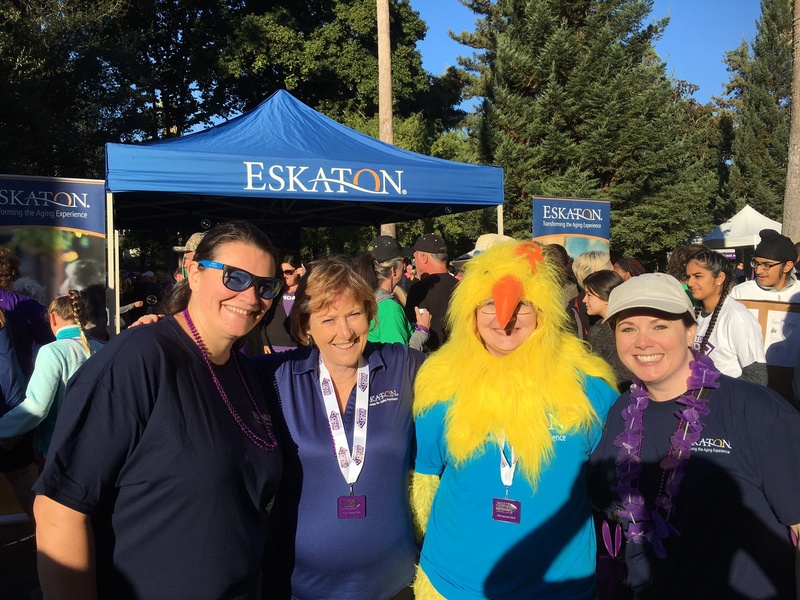 Eskaton, a platinum sponsor of the Walk to End Alzheimer’s, is a strong community advocate for research and support. Among their regional communities they raised over $10,400 dollars. Eskaton was honored to have five distinguished grand champions on their team—individuals who raised more than $1000 each. Why does Eskaton walk? They walk to support the 40 million people across the globe who are living with dementia. They walk to raise awareness and to challenge the stigma about what it means to live well with cognitive change. They walk alongside those living with dementia and their dedicated care partners. 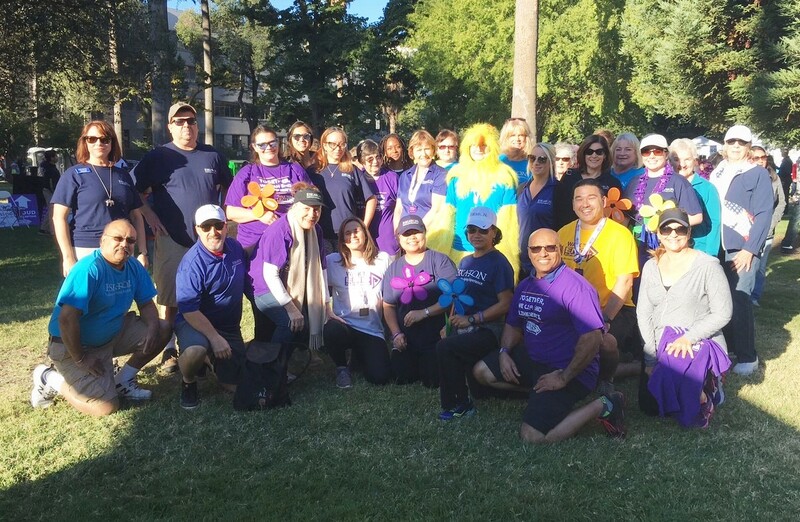 Nearly 300 teams walked together in solidarity on September 23rd to honor people living with Alzheimer’s or dementia, as well as those who support their loved ones. If you would like more information on how to become involved in next year’s Walk or future fundraising efforts, please click here. The Sacramento region is home to Eskaton, a nonprofit senior care provider offering innovative housing, healthcare and social services. Every day thousands of older adults enjoy retirement at our independent senior living communities and receive the care they need through assisted living, skilled nursing, memory care, rehabilitation and in-home care programs. With five decades of experience and a national reputation for innovation, Eskaton is Transforming the Aging Experience.